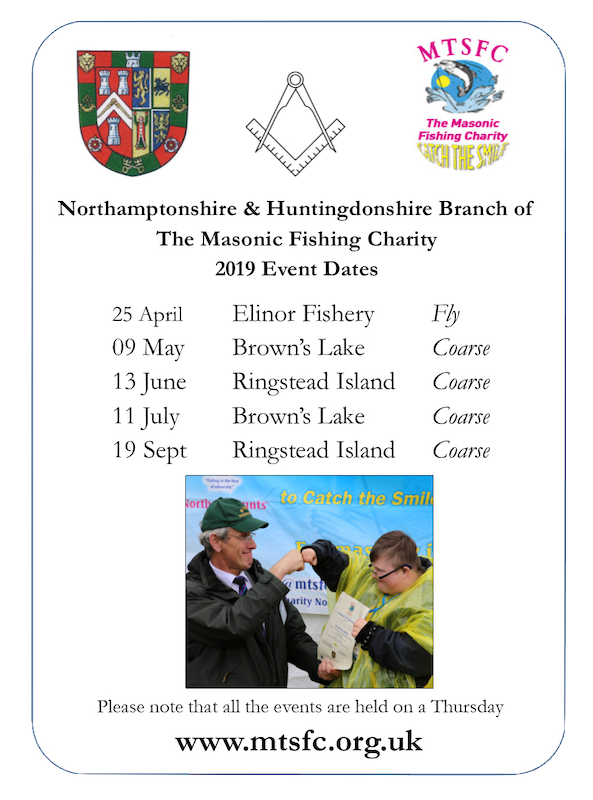 A chance to put something back ……..
…….. and Freemasonry is a great vehicle for doing this. Masons give their time, skills and money to help organisations such as hospices and air ambulances. Principles of honesty, fairness, kindness at it’s heart ……..
…….. these are at the core of Freemasonry and lead many to become members. Why would you not want to be part of an organisation that is built around these values? 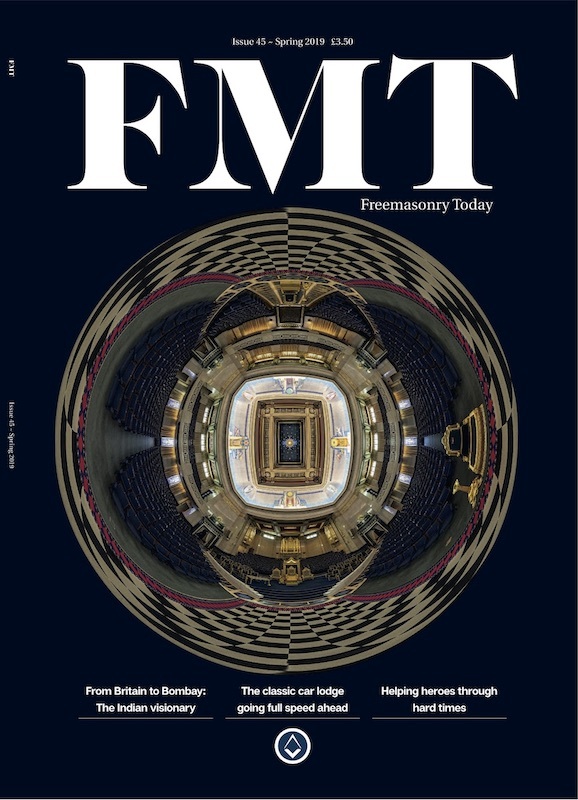 What is it about Freemasonry ……..
…….. that makes more than 250,000 men in England & Wales and more than 6,000,000 worldwide want to be part of this organisation that is nearly 300 years old? It’s friendly, fun and sociable to be a Freemason ……..
…….. we have fun and make life-long friendships with people from all walks of life. …….. and a tolerant, diverse fraternity that does not discriminate against members and prospective members because of their religion, race or nationality. 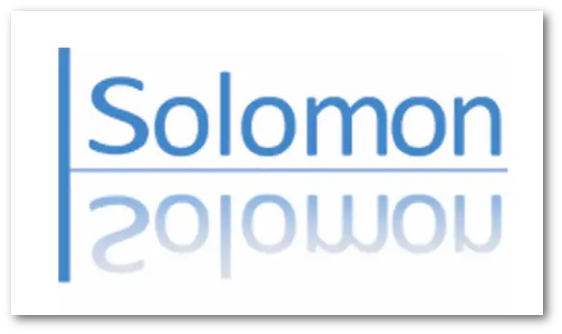 …….. as many have found they have learned new skills as Freemasons - from organising events, managing finances to fundraising and developing confidence as public speakers. Tradition, Heritage & Culture ……..
…….. Freemasonry is 300 years old in 2017. It’s principles have stood the test of time. Its heritage and culture is part of the social history of our country. that makes more than 250,000 men in England & Wales and more than 6,000,000 worldwide want to be part of it? 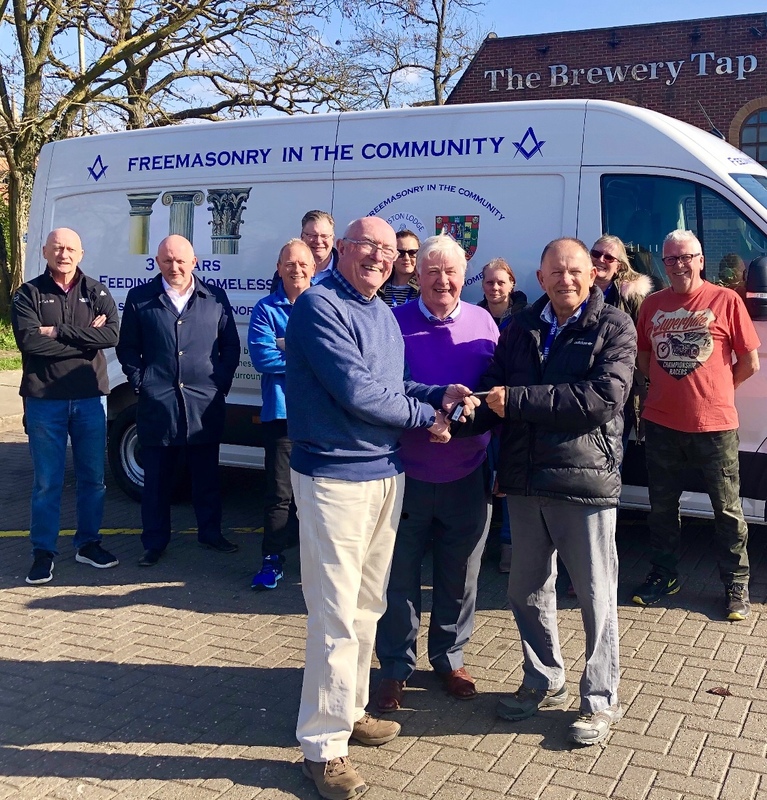 On Thursday the 11th April of April 2019, the Provincial Grand Master, RWBro Max Bayes, was thrilled to attend Peterborough and present representatives of The 3 Pillars - Feeding The Homeless Trust with keys to a brand new van. A Night of Surprises for the AsstProvGM at Petriburg! On Tuesday the 9th of April 2019, at their last meeting of the season, Petriburg Lodge No. 8767 was honoured by an official visit by the Assistant Provincial Grand Master, WBro David Burton, accompanied by WBro Tom Webster ProvDepGDC. 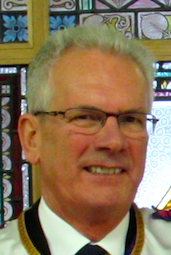 A large number of brethren, including the Provincial Grand Master, RWBro Max Bayes, made a special effort to attend WBro David's last official visit to the Peterborough centre before he steps down as AsstProvGM at Provincial Grand Lodge in May. 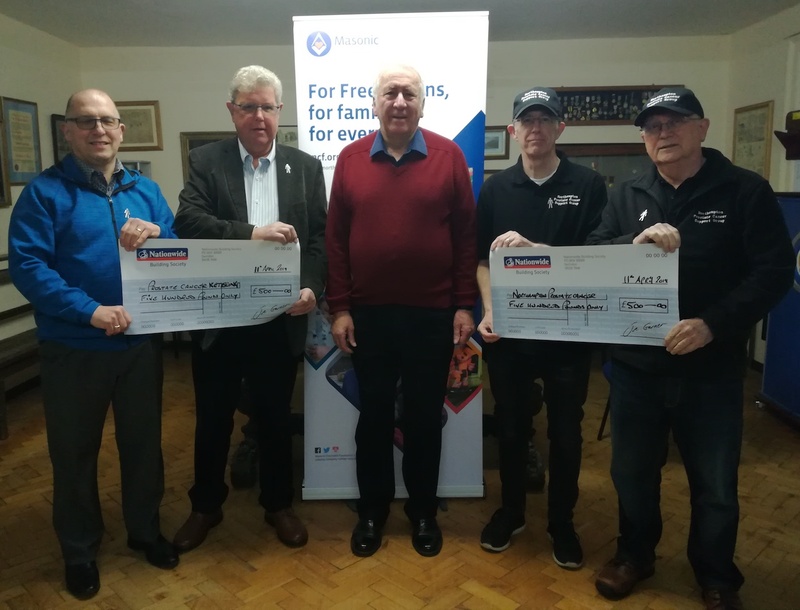 On Thursday the 11th of April 2019, representatives of the Northampton Prostate Cancer Support Group and the Kettering and District Prostate Cancer Support Group attended Thrapston Lodge Rooms where they were each presented with a cheque for £500 by Chicheley Lodge No. 607. Are you eligible to wear this, the most esteemed jewel in Freemasonry? Have you completed that fourth and final stage of Craft Freemasonry? If the answer to either question is NO, click here to find out how YOU can answer YES. In the six years between 2018 and 2024 we aim to raise £2.024m for the Masonic Charitable Foundation. Want To Create Your Own Online Fundraising Page? The Provincial Grand Master explains what Freemasonry is about. So, you want to be a Freemason?